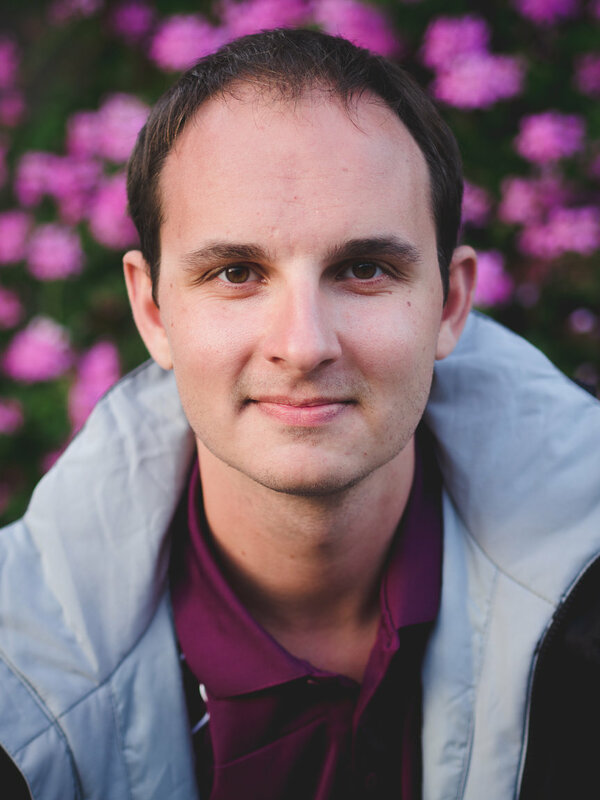 Ivan Ivanov and Denislav Bodichev – UNWE alumni graduated in 2014, participate in a major international project in cooperation with professors from the Dike University, USA. 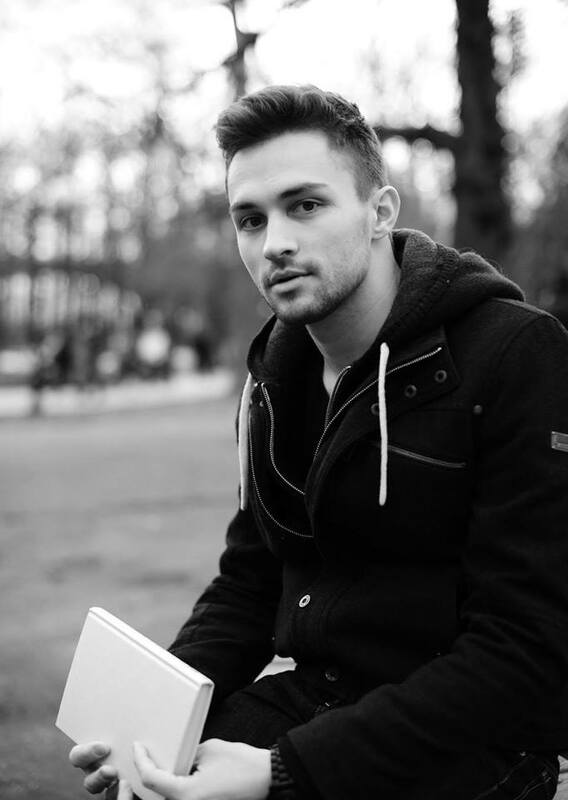 Ivan is Bachelor of Economics (Economics Department) and Denislav is Bachelor of Marketing (Marketing Department). 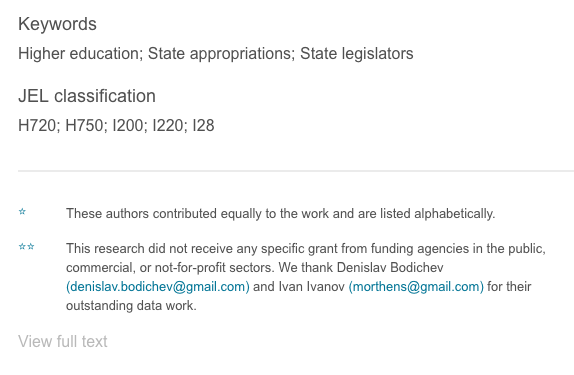 The project research explores a new mechanism to understand state funding for public colleges and universities by leveraging data on the educational experiences of state legislators engaged in legislative changes in the field of state funding for educational sphere. The first project phase is implemented in the period 2015-2018 and the second phase continues working on the selection of relevant information. The participation of both UNWE alumni is related to the selection and studying of information used for preparation of relational analysis. For their outstanding contribution to the data work they have received special thankfulness (in the pictures below). Ivan and Denislav share that their successful presentation during the work for the project is due to the excellent preparation they have obtained at the UNWE.  They consider the common belief about the low quality education at the state universities in Bulgaria as wrong because their experience and success have confirmed them that when someone is well prepared then things just happen. Due to the information selected for the statistical research the project is the first one that finds out incorrectly presented information about part of the candidates participated in electoral campaigns in the USA. 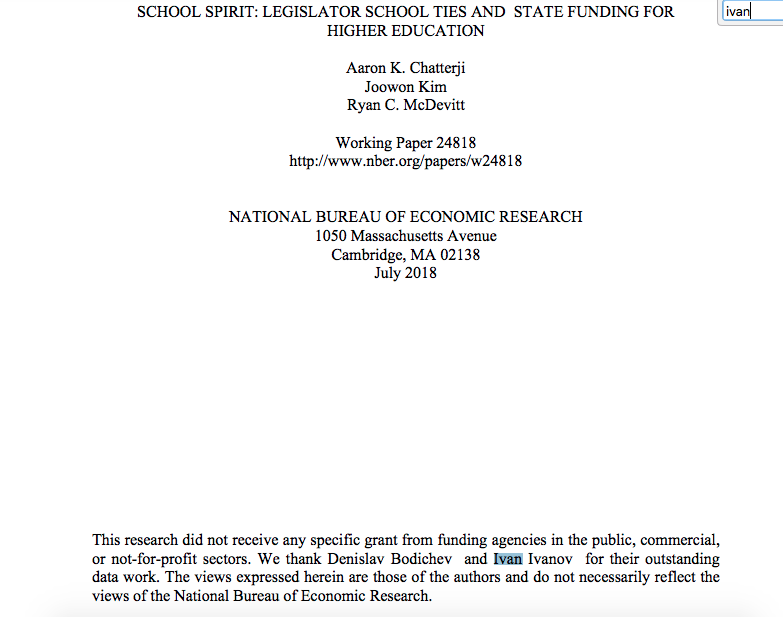 The results of the project are published in one of the most authoritative journals in the USA in the field of statistics and public economics: Journal of Public Economics: https://www.sciencedirect.com/science/article/abs/pii/S0047272718301014, as well as by the National Bureau of Economic Research: http://www.nber.org/papers/w24818.pdf?sy=818.